According to the Aberdeen Group, the cost of 1 prototype averages $8929. Customers need an integrated solution to this main problem. As a designer, not only do you have deadlines to worry about, but it also doesn’t sit well with your Engineering Manager when you have to tell them you need to do another design re-spin because the board does not fit into the desired enclosure. What if you could ensure proper fitment and proper component placement the first time around? SOLIDWORKS PCB has incorporated the ease to use Ribbon-style user interface that SOLIDWORKS is known for. 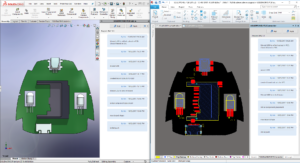 When collaborating with the Mechanical Designer, or maybe you’re in charge of the ECAD and MCAD design, working between both tools ensures a seamless transition. 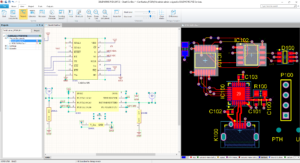 If you’re using SOLIDWORKS PCB as a standalone product for your electronic design tool, not only is the ribbon-style interface one of the easiest interfaces to learn, but we can also take advantage of its superior unified platform. SOLIDWORKS PCB comes with a unified platform that allows users to access the library editor, schematic editor, and PCB editor from a single window. This capability allows ease of use and design at high efficiency without switching back and forth between multiple windows. The Engineering Change Order (ECO) feature documents all changes made from the Schematic to the PCB including added components, nets, classes, and more. ECO’s can also be created when annotating components in a project. This will allow a flawless transition when switching from the Schematic to PCB environment. When Cross Select Mode (similar to Cross-Probing) is enabled, whenever a component is selected in one editor, it is automatically selected in the other editor. This also includes selecting multiple components in a single action or building up a selection by holding the Shift key and repeatedly clicking to select. Still spending too much time getting your board shape right? Still importing DXFs as board shapes? Stop that. The PCB Connector allows us to push our original board shape from SOLIDWORKS PCB to SOLIDWORKS. We can configure our board shape from our enclosure and push it back into SOLIDWORKS PCB. When changes need to be made for the board shape or component placement, simply push and pull though the PCB Connector and get it before fabrication. Through the SOLIDWORKS PCB Connector, designers will be able to focus more on design and collaboration, and worry less about inefficient communication, data loss, and software limitations. The PCB Connector contains commenting capabilities by the user, including timestamps of the changes made, as well as a preview the changes before hand. This real-time collaboration will ensure that both designers know exactly which changes need to be made, and we can minimize design re-spins. 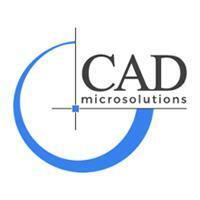 Jamey Larocque, C.I.D | Applications Specialist CAD MicroSolutions Inc.